Audio-Technica is a well-known brand in the audio industry. From enthusiasts to professionals, it has been a trusted name for many years. Throughout its line of products, it’s kept the gold standard for creating audio equipment that is not only well built but has superior sound. 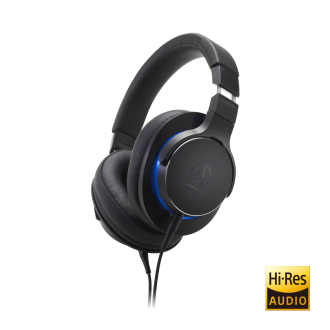 Audio-Technica has announced the debut of its ATH-MSR7b, a new over-ear headphone set to release this coming fall. The ATH-MSR7b is an upgraded version of the recognized and acclaimed ATH-MSR7. The upgraded model will feature new drivers, balanced audio connectivity, and a lighter, more comfortable ergonomic design. The MSR7b will feature an exclusively tuned True Motion Drivers. These drivers will be sized at 45mm and will have a diamond-like carbon-coated diaphragm. This will make the drivers extremely light, responsive, and very rigid. They will also deliver a superlative resolution and transient response with a Hi-Res audio-capable 5 Hz to 50,000 Hz frequency range with reduced distortion. The upgraded drivers will not be the only improvements added to the MSR7b. 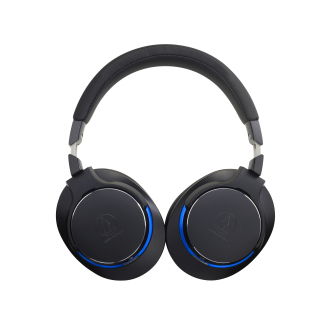 To take the performance further, the headphones will feature a proprietary dual-layered air control technology, which will help regulate the airflow which will heighten the clarity of the audio. For a more powerful and spacious sonic presentation, the MSR7b will incorporate a new stainless steel acoustic mesh resistor that will provide improvements in the high-frequency response and a newly designed bass acoustic resistor for more accurate bass. These improvements will give the headphones a more natural tonal balance that will amplify your favorite music. Throughout its 50-year history, Audio-Technica has been the go-to manufacturer for audiophiles. When listening to their favorite music, listeners always want that feeling of the highs and bumps of the bass. The new MSR7b looks to give music fans an upgraded feel at what listening to music should be. These new headphones from Audio-Technica will be designed for total comfort, being 53 grams lighter than its predecessor with memory foam earpads and headband. The ATH-MSR7b will be available in black and gunmetal and will include a protective pouch. The ATH-MSR7b will be available Fall 2018.